A day after the institution broke its association with the former Supreme Court judge Justice (retd) A.K. Ganguly, who is facing allegations of sexually assaulting a law intern, Justice Ganguly resigned from the post of honorary professor of the National University of Juridical Sciences (NUJS). The NUJS said the reason for disassociating itself from Ganguly was because of the allegations leveled against him. Last month, the faculty members had asked the university to cut off relations with Ganguly. As per an NUJS spokesperson, "Since the matter came up, he has not been part of the university framework”. On the other hand, Ganguly in his letter to NUJS Vice Chancellor P. Ishwara Bhat said, "I voluntarily opt out of that position, and don't want to continue as a member of the guest facility and be a burden on NUJS.” Ganguly further added that, "Some members of the faculty were expressing their reservation about my continuation. So I have sent my resignation today”. Earlier twelve Professors of West Bengal National University of Juridical Sciences [NUJS] had issued a statement demanding an immediate action against Justice Ganguly. The Vice-Chancellor P Iswara Bhat said, “He will be distanced from the NUJS in whatever activities in future until the EC (Executive Council) decides the issue finally. He assured the faculties that an “official communication will also be issued from the side of the NUJS to this effect at the earliest.” “I want to make it categorical that NUJS has zero tolerance for sexual harassment and its politicization. We are committed to uphold the value of women’s dignity. We disapprove politicization and trivialization” he told. With the Union Cabinet sanctioning a proposal for sending a Presidential reference to the Supreme Court for an investigation into the allegation of sexual misconduct against a law intern who was the student of the NUJS, the process started for the removal of Justice Ganguly as WBHRC chairman. This step of the Union Cabinet came as a big blow to Ganguly, who is currently chairman of the West Bengal Human Rights Commission. The proposal will be sent to President Pranab Mukherjee who will then send the matter to the Chief Justice of India seeking an investigation into the issue based on the three points raised in the reference. As per S.23 of the Human Right Act, the Chairperson or, any other Member of the State Commission shall only be removed from his office by order of the President on the ground of proved misbehavior or incapacity after the Supreme Court, on a reference being made to it by the President, has, on inquiry held in accordance with the procedure prescribed in that behalf by the Supreme Court, reported that the Chairperson or such other Member, as the case may be sought on any such ground to be removed. 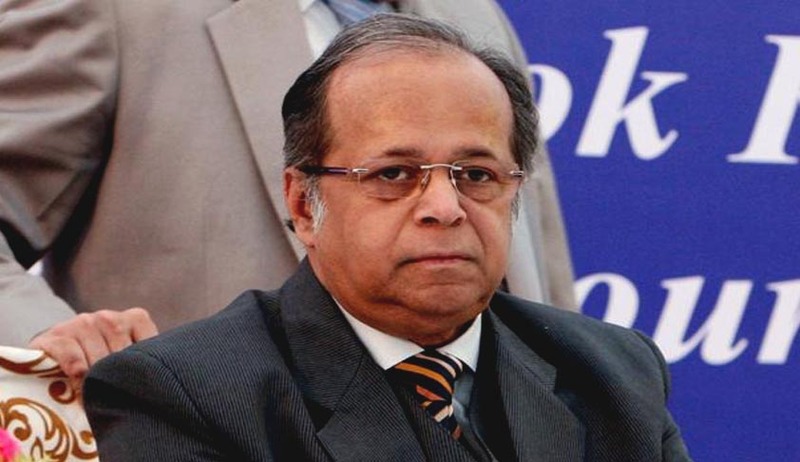 Justice Ganguly was earlier accused of committing an "act of unwelcome behavior" and "conduct of sexual nature" towards the woman law intern, by a three-judge Supreme Court constituted by the Chief Justice of India, following which the entire nation demanded for Justice Ganguly’s resignation as head of the rights panel which also included West Bengal Chief Minister Mamata Banerjee and other leaders of the ruling Trinamool Congress. But the retired judge had constantly denied stepping down from his position as the Chairman. In a letter to Chief Justice of India P. Sathasivam, he alleged that because of the judgments he had given against powerful people, there was a palpable design to badmouth him. However, former Lok Sabha speaker Somnath Chatterjee has stood by the former judge.